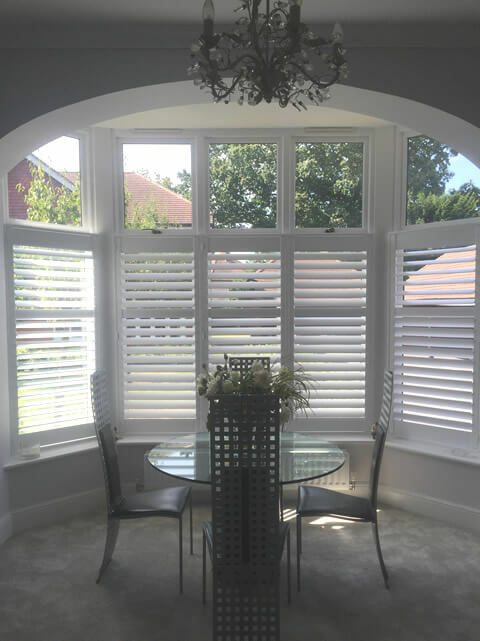 We visited a local home in West Wickham, Kent to help a new client with shutters for their 1930s home. They were looking to gain more privacy particularly on one of the main bay windows located in the living room of the property. The client lives on a busy road and often feels that there is not much privacy from passers-by throughout the day. 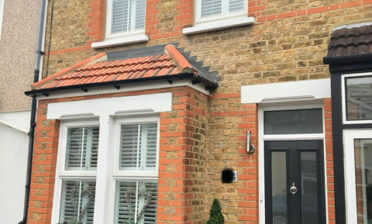 Working with the customer we decided upon using Cafe Style shutters for this window. Not only do they look fantastic with bay windows, but this kind of installation allows for privacy adjustment at the bottom throughout the day, while also allowing maximum light in through the top at all times. 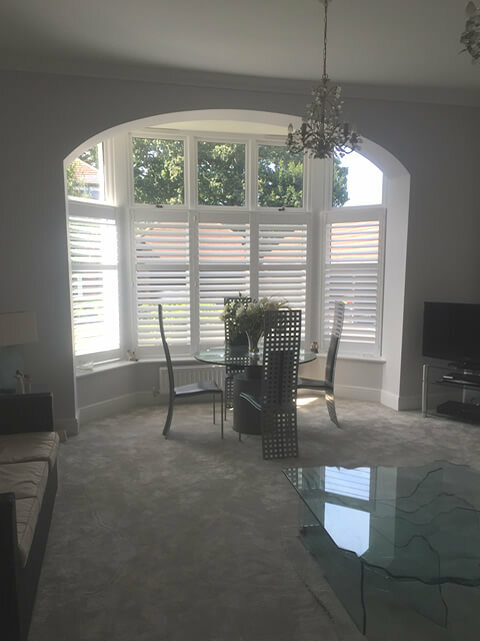 We fitted these shutters to take up two thirds of the window, lining up perfectly with the top windows which can still be opened without having to open the shutters. To strengthen the shutters we decided to fit a midrail which will also effectively give the client 2 separate levels of adjustment. 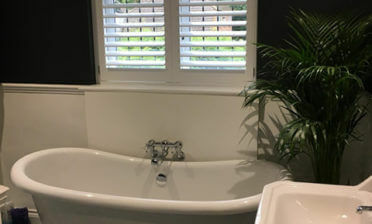 The Shutters were created using hardwood from our Fiji Range featuring 89mm louvres with a silent tilt rod system, allowing the customer to adjust the shutters through touch rather than rods. This gives a more minimalistic look throughout. 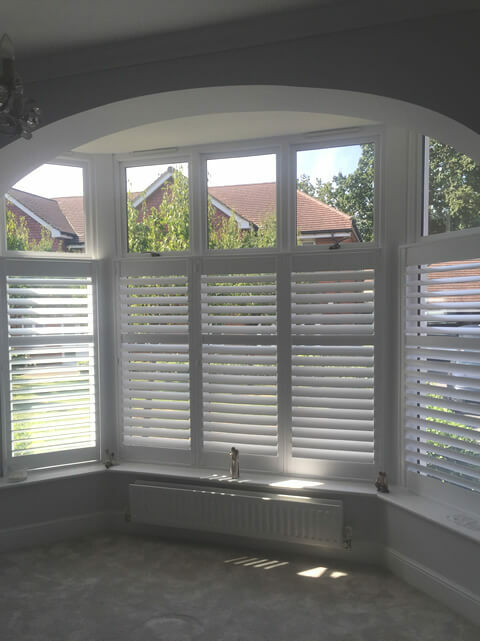 We finished the shutters in pure white. This build was carried out by Luke and Jimmy, the customers were delighted with the look and usability of the finished installation!